Prizes for the Big Bed Quilt-Along! Hello, my fellow Big Bed Quilt-Along-ers. Here we are in April at last, our final month of this quilt-along. 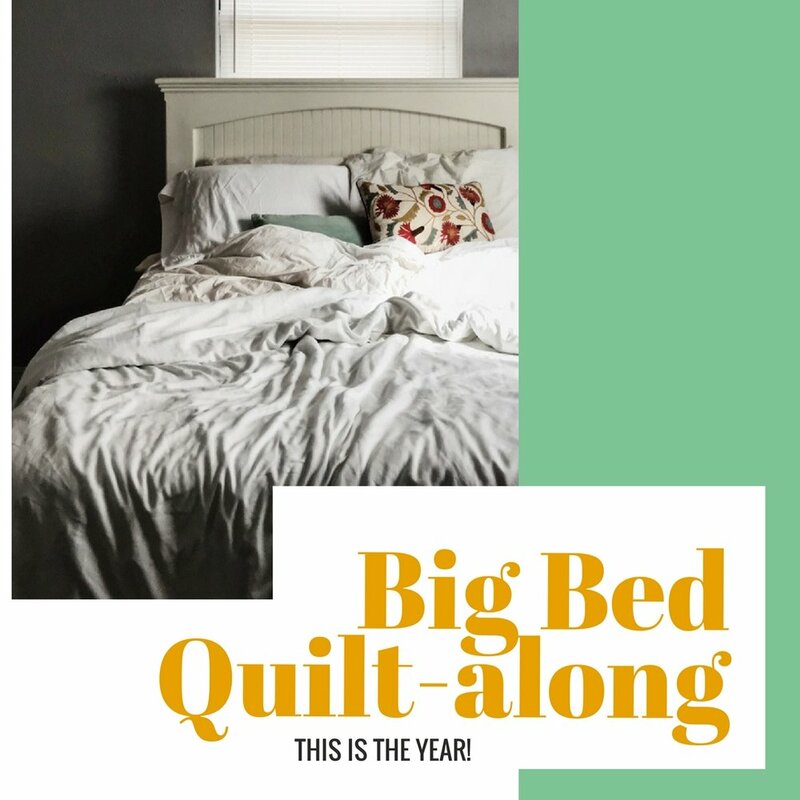 Did you set a goal for your Big Bed progress this April? Time to nail it down. I hope you'll be wrapping up your project this month. Won't that be a feat to celebrate! Those who meet their April goals will have a chance to win one of FIVE prizes brought to us by Superior Threads. Superior Threads manufactures a host of thread collections. They make some well-known lines, such as Omni, MicroQuilter, King Tut and Bottom Line. They also make the thread we use in our longarm quilting studio - So Fine. That's a 50 wt thread that quilts beautifully, subtle and strong. If you've shopped for thread mainly in big box stores, you probably haven't run across any of these threads. Superior Threads are sold mainly in brick and mortar quilt shops and thread specialty shops online. I tend to shop directly with Superior Threads' online site. It's easy to use, has everything and offers free shipping over $50 to U.S. customers. Next time I order, I plan to try out some Bottom Line thread and Kimono Silk thread. Both have been recommended to me by readers for English Paper Piecing. If you're shopping for high quality piecing and quilting thread, Masterpiece is their cotton 50 wt option and So Fine is their more economical polyester 50 wt option. Wondering about polyester vs cotton? Here's an article on the debate. Superior Threads has a fantastic educational section to their website with tons of advice about all things related to achieving a beautiful stitch. Five lucky Big Bed Quilt-along participants will receive a $51 gift certificate to SuperiorThreads.com. Try some new threads or stock up on your favorites. Lucky you! On Monday, April 30th I'll post a Big Bed Quilt-Along Celebration post, wherein you can enter for your chance to win. Prizes ship free to the United States. International orders will pay shipping. Until then, let's be stitching!